Sofa with high backs for optimal comfort while seated and with optional removable seats for greater prosperity. Living room sofa with peninsula available in various fabrics, eco-leather or leather. Sofa with chaise lounge by Clif great compositional flexibility following the taste and dictates the rhythm in every space. original features enable a strong identity becoming aesthetic expression of personality and style. Modern sofa with high backs that allow a comfortable seat and with independent removable seats (optional) offering a further prosperity in moments of relaxation. 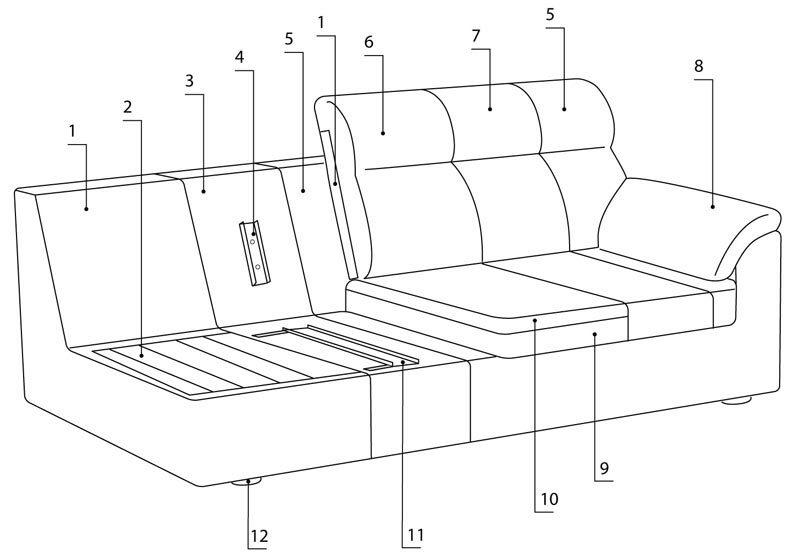 Sofa with completely removable cover for the fabric cover, partially removable cover for leather and eco-leather.